Our design team have an ongoing brief to design for our clients’ future requirements as well as their current needs. This requires them to always keep well ahead of the curve in their planning. We asked the team to outline some of the major workplace trends they’re picking for 2019 and beyond. Above: Deloitte's client-facing floor was designed in alignment with the company's global "Greenhouse" initiative where an area in each Deloitte workplace is dedicated to innovation, creativity, and events as a tangible embodiment of the company's brand. A common theme among those planning builds and redesigns now is the need to make their spaces reflect who they are as an organisation. We’re seeing indications that workplace interiors will be under more pressure to perform in a way that’s aligned with company culture than ever before. The workplace can be one of the truest expressions of a brand—it’s a tangible embodiment of company culture and values that employees and customers interact with every day. So it makes sense that the company culture should inform the design of the workplace, and then the workplace in turn will reinforce a strong company culture. This is more than just buying cool furniture and using the corporate colours – providing spaces that enable employees to be at their most productive takes careful consideration of the needs of the people who will use it both today and in the future. 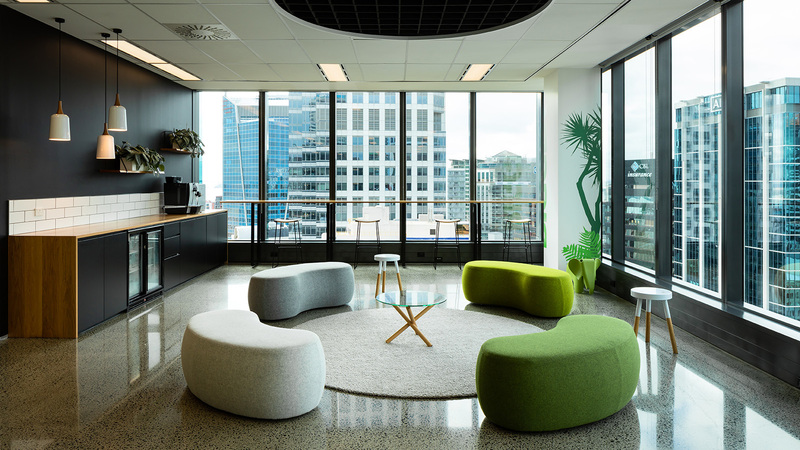 Above: Generator in Auckland provides comfortable seating and meeting space for workers to socialise and work in different activated settings. Designers will focus on ways to make us feel at home at work. Research shows that the aesthetic appeal of our surroundings actually affects our mental wellbeing. A recent survey by Gensler revealed that design does impact behaviour, and that it’s important to design spaces to deliver great experiences. Feeling at home in your space can assist in achieving greater focus and productivity. In the drive to support employee wellness, organisations will examine the ways that improved air quality in the workplace can contribute to health and wellbeing. Look out for designs that move beyond biophilia and outdoor spaces and deliver better air quality right to your desk. With the backlash against open plan offices, workplace acoustics will receive much more attention from designers, workplace strategists and facilities managers as they fight to find solutions that make the open office layout work for its inhabitants. Noise and interruptions outside of our control can cause real stress and organisations that care about the physical and mental health of their people will take steps to manage the sound quality in their offices. Above: Furniture that allows users to plug in and continue to work while away from the desk will be in high demand. Gathering data that can be turned into meaningful information about work patterns and preferences is a priority in some of the world’s top organisations. Microsoft collected data about how employees used its workspaces so that it could design for the best user experience possible in its new offices. This trend is catching on and technology such as sensors in furniture and applications on user devices will be some of the methods used to do this. Forward thinking organisations will demand furniture as architecture. Rather than adding, removing or relocating office walls as business needs and goals change, work spaces will need to adapt on the fly. Acoustic pods, screens and high backed seating can create semi private areas as an alternative to a closed meeting room, and the smartest seating systems are modular and reconfigurable. This not only significantly reduces cost but also enables employees to change settings so that they can work in the style that suits them best with the minimum of disruption. The most productive group spaces will offer connectivity to technology. 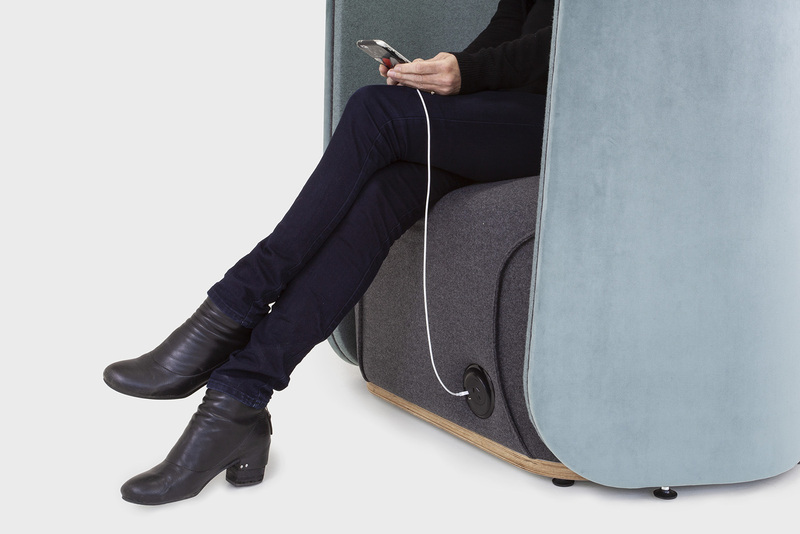 The ability to plug in, recharge, and share information when away from the desk will be built into collaborative seating so that users can meet quickly and share information easily. 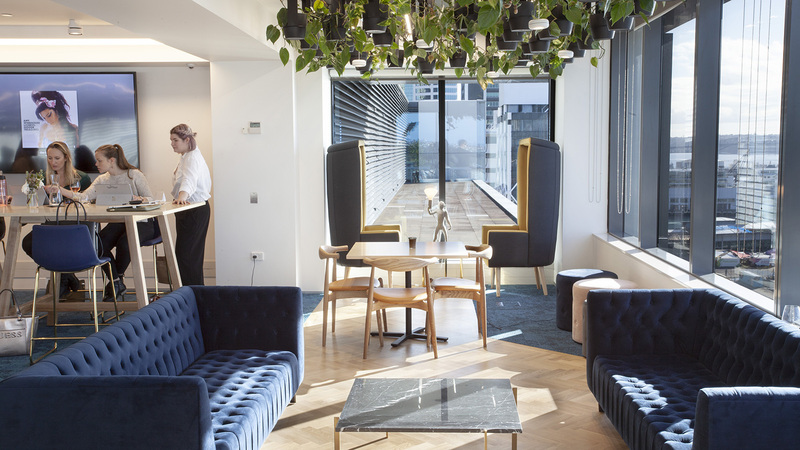 Even the most casual spaces can be used for casual and unplanned collaborations – therefore office kitchens, relaxation areas and break out spaces need to enable connectivity. Spaces that don’t offer this functionality won’t be used. These workplace trends are gaining momentum, and are going beyond the new and experimental into areas of real focus and development. Part of the challenge is to raise awareness and educate organisations and end-users about benefits that they will bring over the medium and long term. The overriding link across all trends is the need to treat each company as an entity with its own specific identity and needs. One size doesn’t fit all and it’s important to consider the culture and unique requirements of each individual organisation and its employees. Talk to our team about solutions to keep your team ahead of the curve.